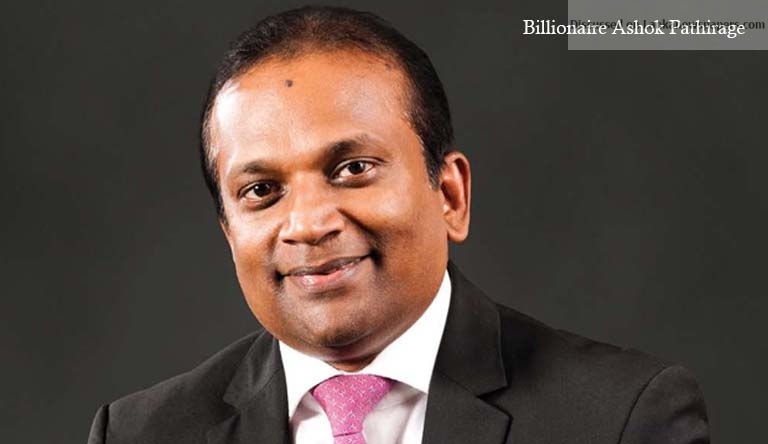 Sri Lanka’s Leverage King titled Billionaire Ashok Pathirage owned Softlogic Group’s Asiri Health will launch a MBBS degree Program in partnership with the University of Aberdeen, the latest annual review of the company notes. “Discussions are taking place with the University of Aberdeen, aimed at launching an MBBS degree through which local students can aspire to a foreign MBBS at an affordable cost” Pathirage points out in his review adding that they believe this will help the healthcare industry to increase its available pool of expertise. Accordingly this degree programme will enable medical students to complete their first three pre-clinical years in the University of Aberdeen followed by two clinical years at Asiri Health. This would make international medical education affordable to Sri Lankan students according to Softlogic group, while elevating the clinical practice standards within Asiri Health. This education programme, approved by the General Medical Council of the UK, will be launched in 2020. Ashok Pathirage’s Asiri Health emerged as Sri Lanka’s leading private healthcare provider operating 4 hospitals under the ‘Asiri Health’ brand and a leader in diagnostics, over the last 15 years mostly backed by Pathirage’s success on mastering banks backed leverage buyouts, and today control over 50% private sector healthcare bed capacity in the country. Pathirage in his annual review of the company further notes that as the largest healthcare group in the country, they dominate the private healthcare sector in size, service, quality and technology. Expansion of their range of services, pursuit of operational excellence and streamlined processes had enabled improvements in operating margins during the year. It had been an important year for Asiri Health, with its Kandy project nearing completion and the Asiri AOI Cancer Centre expected to unveil one of Sri Lanka’s most advanced cancer treatment units. Group had introduced cutting-edge medical technology during the year. A fully-equipped ENT console and operating instruments with the latest diagnostic equipment, a fully fledged dialysis centre, a palliative care unit, a wound management centre, a clinical psychology unit and a second cardiac catheterisation lab are amongst the specialized centres introduced at Asiri Surgical while Asiri Breast Care commenced at Central Hospital, followed by a Sleep Apnoea Lab in Matara. Focusing on disciplined cost management and streamlining procurement, together with a one-off disposal gain, had allowed Softlogic’s healthcare sector to record a 60% growth in operating profit. Tax had increased to Rs. 697 million from Rs. 169 million in the previous year due to the change in the tax rate from 12% to 28% for healthcare operators and a deferred tax liability impact. The sector’s profit after tax amounts to Rs. 1.9 billion during the year, compared to Rs.1.2 billion in the previous year. Hospitals within the Group are also in the process of obtaining the Australian Council on Healthcare Standards International (ACHSI) certification, the annual review notes. Meanwhile during the year under review, Central Hospital had been appointed as an accredited examination centre for the Royal College of Surgeons – Aberdeen, Scotland, the first hospital outside UK to receive this recognition. Further the Bone Marrow Transplant unit at Central Hospital is a centre for postgraduate training by the Postgraduate Institute of Medicine. Absolutely right action, University of Aberdeen is a well respected and recognised top tier university in the UK (Scotland). I am sure they will be deligent with intake students qualifications. Once getting full qualifications (MBBS), they can come to the UK for work as Doctors. Sri Lankan recognition is irrelavent. There is a severe shortage of qualified doctors in the UK. Specially doctors with expereince in treating for tropical deseases, Welldone Ashok !